Your orthodontics services will be just as individualized as you are. Prices will vary depending on the kind of treatment you receive at Winning Smiles Orthodontics. To learn more about orthodontic costs, please schedule an appointment with Dr. Frey today. By thoroughly examining your situation, he can answer all of your questions about orthodontic prices, including payment and financing options. 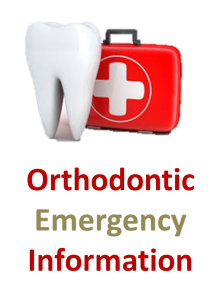 His courteous and helpful staff will also help determine if your dental insurance covers the cost of orthodontics. Our goal is to provide high-quality care at an affordable price that meets the needs of all our patients. If you are considering orthodontics treatment, then please look at our orthodontics before and after pictures in our Smile Gallery . With these images, you can get a better idea of the benefits of the orthodontics treatments offered by Dr. Frey. At Winning Smiles Orthodontics, “A Winning Smile Is Always in Style!” Dr. Frey and his top-notch orthodontics team recognize that each patient has unique requirements and desires. Our services have improved the lives of people from in and around Washington, DC, including residents of Bowie, MD; Hyattsville, MD; Prince George’s County; Montgomery County; and Anne Arundel County. Whether you are an adult, a child, or a teenager, our knowledgeable staff is committed to helping you achieve the smile you deserve. Please call 301-249-4123 today to schedule your free initial consultation!